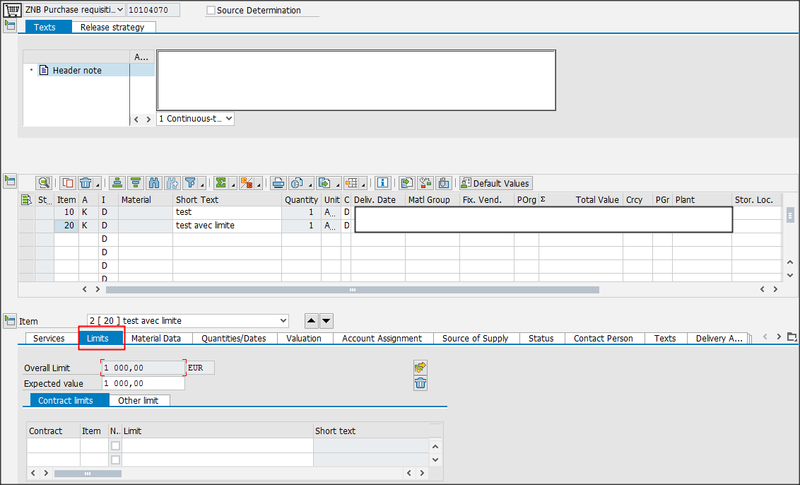 My customer asked me to add controls on “Services” and “Limits” Purchase Requisition tabs. For me the BADI ME_PROCESS_REQ_CUST is the good solution but in the method PROCESS_ITEM these datas are not accessible directly. 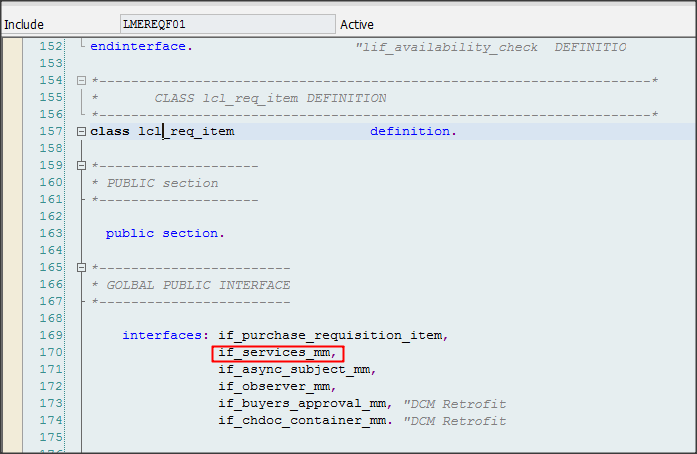 In the import parameters, the object im_item has type IF_PURCHASE_REQUISITION_ITEM and in this interface there is not method to get back these datas. In debug we can see that the calling class is LCL_REQ_ITEM from include LMEREQF01. And this interface has a method (GET_SRV_DATA) who returns “Limits” and “Services” data. The goal will be to cast the import parameter into a IF_SERVICES_MM object and use the method get_srv_data on it. Use flag im_limit depending on the needs. Hope that will help you, and if you have questions about it i will try to answer it.